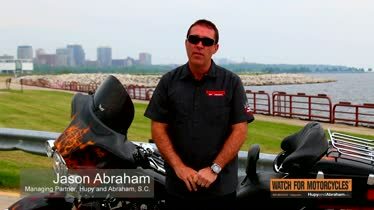 Motorcycle Accident Attorneys In Iowa | Hupy and Abraham, S.C.
What Will Your Future Be Like If You’re Hurt in an Iowa Motorcycle Accident? 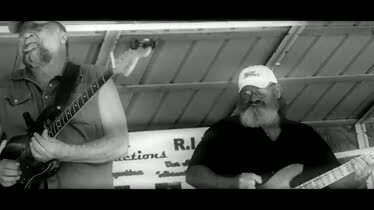 Hupy and Abraham, S.C. 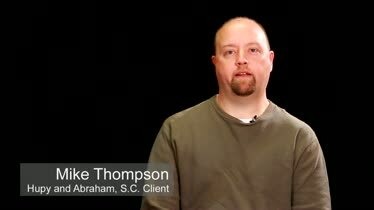 Client Testimonial - Mike Thompson Hupy and Abraham, S.C. client Mike Thompson talks about his motorcycle accident and experience working with the firm on his personal injury case. Since 1999, the number of registered motorcycles and licensed motorcyclists has increased every year in Iowa. In 2014, the most recent year for which statistics are available, there were 270,285 licensed motorcyclists and 187,405 registered bikes in our state. During that same year, 51 motorcyclists lost their lives and 860 motorcyclists were hurt in accidents. Our lawyers have represented more than 3,000 motorcycle accident victims in the Midwest, including many here in Iowa. We have recovered tens of millions of dollars for our fellow riders. As lawyers, we are part of one of the top motorcycle accident injury law firms in the country. As riders, we understand what you are going through and we are passionate about making sure that all motorcyclists are treated fairly. Accordingly, we want to share our FREE book, The Ultimate Guide for Motorcycle Accident Victims, with you now and encourage you to browse our website and to contact us via this website to learn more. Brain and head injuries. Traumatic brain injuries, broken skull bones, and other injuries can create immediate and sometimes lifelong problems for riders after a crash. Spinal cord injuries. Varying degrees of paralysis and other enduring forms of nerve damage can result from a complete or incomplete spinal cord injury suffered in a motorcycle accident. Broken bones. A bone may be broken when a rider collides with the road or when a bike lands on top of him in a crash. Some broken bones—such as bones in the neck, pelvis, and hip—can be serious and life-changing, while other bones may require medical treatment and rest before a recovery is made. rider’s arm. Nerve damage in the upper arm that occurs during a motorcycle accident is known as rider’s arm. Severe cases of rider’s arm may lead to paralysis of the arm. Chest injuries. The chest protects important organs such as your heart and lungs. If your chest is crushed in a crash then serious, life-threatening injuries may occur. Eye injuries. Blindness or other permanent changes in vision may occur if a motorcyclist suffers an eye injury during a bike crash. Open wounds. Open wounds require immediate medical attention. riders are at risk of infection and permanent scarring from any wound that occurs during a motorcycle crash. Road rash. Road rash gets its name from its rash-like appearance, although it is not in fact a rash. Instead, it is the group of open wounds that develop when a rider’s skin is scraped along the road surface. Infection and scarring are serious concerns after a road rash injury. Facial and dental injuries. When something hits a rider’s face during an accident then facial bones or teeth may break, causing painful and sometimes lasting injuries. Amputations. 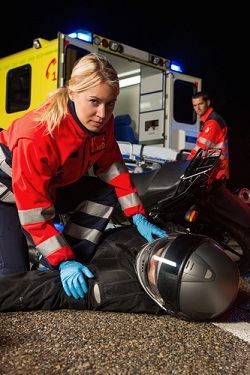 An amputation may occur at the accident scene if a limb is severed in the crash—or it may be medically necessary to amputate an extremity because of an infection that occurs in a motorcycle accident wound. Additionally, we represent the estates of those who have died in motorcycle accidents. Drowsy drivers. A tired driver’s judgment and reaction time are impacted by his fatigue, which makes motorcycle accidents possible. Distracted drivers. The list of specific distractions is long and almost endless. However, any time a driver’s attention is taking away from the road, a driver’s eyes are taken away from the road, or a driver’s hands are taken off of the steering wheel the driver may be distracted and may cause a bike crash. Drunk drivers. Alcohol interferes with a driver’s decision-making skills, hand-eye coordination, and brain function. As a result, an intoxicated driver is impaired and can make a serious mistake that leads to a devastating motorcycle accident. Speeding drivers. A driver who exceeds the speed limit or who is driving too fast for road conditions may be unable to stop his vehicle in time to prevent a motorcycle crash. Aggressive drivers. Aggressive drivers often don’t leave enough room between their vehicles and other vehicles. They may, for example, follow a motorcycle too closely or change lanes without looking or without enough space to do so safely. Poor road design or road conditions. Poor visibility, dangerous intersections, or bad weather conditions can make it difficult for a driver to prevent a bike wreck. The factors described above may cause any type of motor vehicle accident, but there is one accident cause that is unique to motorcycle wrecks. Often, motorcycle accidents are caused by mistakes made by car drivers. Car drivers simply don’t look for riders, don’t account for the smaller size of a motorcycle, and don’t exercise reasonable caution. T-bone crash. T-bone accidents most often occur at intersections. If a car driver fails to stop for a red light or stop sign then he may hit the side of a motorcycle. Rear-end accident. Rear end accidents occur when the vehicle in back fails to slow down or stop in time to prevent hitting the motorcycle in front of it. Head-on collision. When one driver goes the wrong way down a one-way street or veers into the oncoming traffic lane, then the front ends of the car and motorcycle may collide. Left-turn accident. A driver may try to make a left turn when he doesn’t have enough time to do safely; this could result in the motorcyclist hitting the side of the car. If you’ve been hurt or if you’ve lost a loved one, then you may be able to recover damages for your injuries. What Is Included in a Recovery? Medical expenses. Your healthcare expenses may begin the day of the crash and continue for the rest of your life, but you may be able to recover for all medications, surgeries, hospitalizations, doctors’ appointments, and other medical costs. Lost income. This includes wages, benefits and other income for both employees and those who are self-employed. Out-of-pocket costs. Any expenses you incur as a direct result of the accident may be compensated. These damages can have a profound impact on your future, but first you must make a recovery through a settlement or court verdict. How Does a Motorcycle Accident Case Work? Collecting evidence at the scene of the crash. Pictures, witnesses statements and other evidence from the accident scene may be among the best evidence available in proving liability for the accident. Settling your case. Insurance adjusters want to settle your case, but they want to do it for as little as possible. Thus, you need to know how to demand and negotiate a fair settlement. The time that you have to file a case. Typically, you have two years to file a lawsuit. However, exceptions to the Iowa statute of limitations exist and could shorten or lengthen that time. Whether you have the legal authority to bring a case. As the person who was hurt in the crash or the personal representative of the estate of the person who was killed, you have standing to bring a lawsuit in Iowa. Expert witnesses. Expert witnesses can help establish what happened in the crash or the value of your damages; however, they are not required in every case. Hiring an attorney. An attorney can make sure that all of your legal rights are protected and can advocate for your full and fair financial recovery. How insurance impacts your recovery. The other driver’s insurance, and potentially your own insurance, could be relevant to your recovery. Iowa motorcycle laws. Iowa, like all states, regulates motorists—and this includes motorcyclists. As a rider, it is important to understand what the state law says. How to get a copy of your police report. The police investigate and report on motorcycle accidents that result in injuries. It is important to know what is in that report that could help or hurt your claim, and it is important to know that the police report is not the only evidence that will determine your recovery. How to deal with insurance adjusters. Anything that you say to an insurance adjuster may be misinterpreted and used against you. Accordingly, it is important to be cautious and to understand how to deal with the insurance company after a motorcycle accident. The things that you should not do after a crash. Mistakes can prevent your fair recovery. Being aware of potential mistakes is important so that you can avoid them, to the extent possible. Additionally, you should know that there is often a bias against riders that must be overcome in order to get the recovery that you deserve. Right now your life is not what you want it to be. The injuries that you suffered in an Iowa motorcycle accident have taken away some of your independence and control. Instead of riding the open road, working, or doing the other things you enjoy, you are in a hospital bed, you are going to medical appointments, or you are stuck at home recovering from your injuries. As motorcyclists ourselves, we understand just how difficult this is for you. We recognize what someone else’s negligence is costing you and we are committed to helping you get the fair recovery that you deserve so that you can live the future that you envision. Call us at 1-800-800-5678 and schedule a free consultation at our Quad Cities, Des Moines, or Cedar Rapids office today. 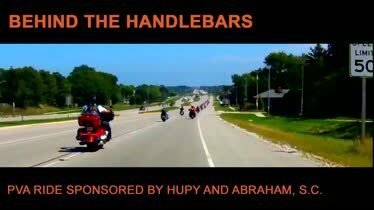 Hupy & Abraham, S.C. go far above and beyond in their dedication to educating the public on motorcycle and pedestrian safety. I especially like their DNT TXT N DRV campaign as I feel this is an issue that deserves a lot of attention. 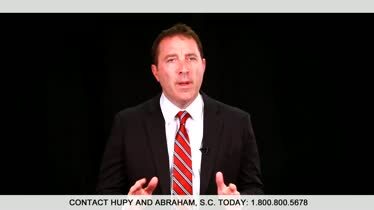 Hupy & Abraham, S.C. is a firm that truly cares for the greater good of the people and community. Behind the Handlebars - Thunder in the Park Behind the Handlebars Host Tony "Pan" Sanfelipo interviews ABATE of Wisconsin member Steve Kelly at the 2016 Thunder in the Park in Oshkosh, WI. Hupy and Abraham, S.C. Supports the PVA Ride Hupy and Abraham, S.C. sponsored the 2015 PVA Ride during the Milwaukee Rally. 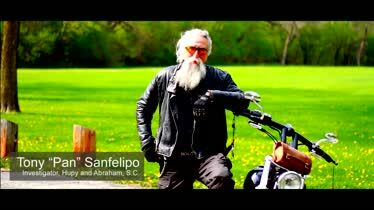 Be a Safe Rider - Advice for Motorcyclists To help make the roads safe and everyone more aware, Hupy and Abraham has put together a video giving tips and advice to motorcyclists. We Support Several Motorcycle Organizations We, along with our employees, support many organizations ranging from ABATE of Wisconsin to AMA to local H.O.G. chapters. Meet Hupy and Abraham, S.C. 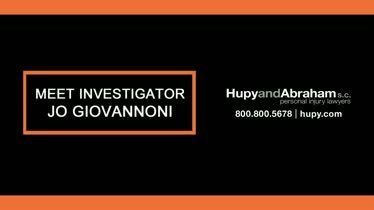 Investigator Jo Giovannoni Watch this video to learn more about Hupy and Abraham investigator Jo Giovannoni. Hupy and Abraham, S.C. 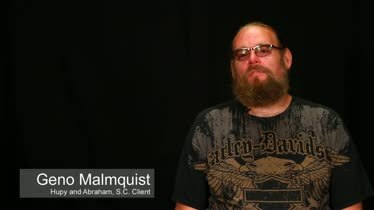 Client Testimonial- Geno Malmquist Hupy and Abraham, S.C. client Geno Malmquist talks about his motorcycle accident and his satisfaction after working with the law firm to settle his case.